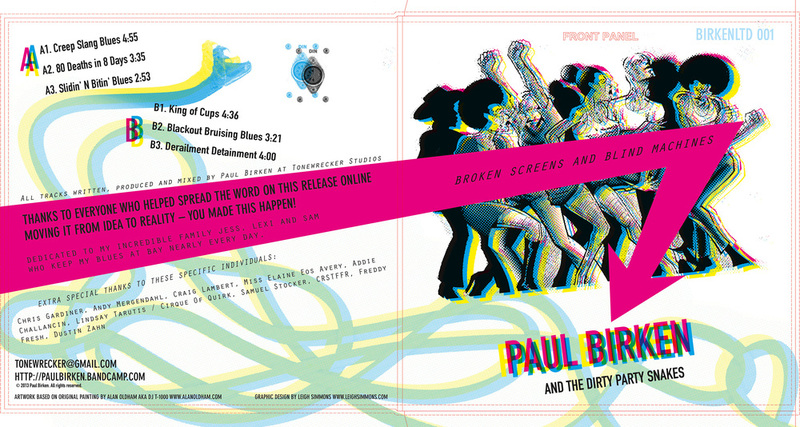 When Paul Birken asked me to design this jacket, I knew it would be a fun project. The drawing on the front came from a painting done by the accomplished artist and producer Alan Oldham a.k.a. DJ T-1000. This is part of a successfully-funded Kickstarter project. I sent this off a week ago. Can't wait to see it printed!